Vice President of International Kung Fu Federation & Chairman of Germany Kung Fu Federation. President of Elbe Fitness Qigong Association. Director of Germany Office of Nanjing External Culture Exchange Center. General Coach of North Germany for Germany Wushu Federation. 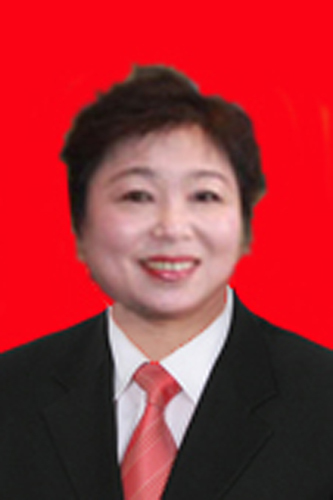 Born in 1962, Fei Yujiao is renowned as descendant of an eminent family. Her father is the approving student of famous martial artist Wang Ziping who was Chairman of Nanjing Wushu Association. Her 4 brothers also enjoy high reputation in Wushu field. Since 5 years old, she learned Wushu from her father and won prizes in various competition both home and abroad. She created an unique skill “Tiebanqiao” (Singing with Quartzite on her body, additional with 5 adults standing on the Quartzite) which nobody could do till now. This brook through the prohibition “never open your mouth while practicing Qigong” In 1980, Fei Yujiao won the first prize for women hard Qigong in the competition of National Wushu Qigong Contest. She faced a choice when she gained some achievement in 1980s: Hongkong famous movie director Xu Xiaoming invited her to join the filming of “Mumian Jiasha” while Austria-China Friendship Association invited her to be the General Coach in Austria. Finally, she dropped the chance to be get involved in entertainment field and went to Austria for coaching in the hope of promoting China Wushu. With US dollar 100 in her pocket when she first stepped in Austria, she realized her Kung Fu dream overseas based on her professional Kung Fu skill. Fei Yujiao went to Germany in 1989 and opened Kung Fu school in Hamburg. During these 20 years, She trained several world champion for Germany. More than 5000 students learned Kung Fu from Fei Yujiao. Many of them opened their own Kung Fu school and took pupils.